In Tysons Corner, VA, we are here to expertly guide you through the adoption process. If you’re pregnant and considering adoption, we can help by educating you, assist you in finding the right family and setting up your services so that the process is easier for you. If you are looking to adopt a child, be assured that building a family is not an impossible dream. The key is to determine what type of adoption is best for you. Then, we can expertly guide you through the process from finding a birth mother to handling the legalities. Stanton Phillips is the attorney who runs Adoption Legal Services. He has helped over 3,000 families successfully adopt. He has assisted with helping couples and individuals reach their dream of having a family since 1982. His adoption has involved children from just about every state and over 65 countries. Learn more about Stanton. 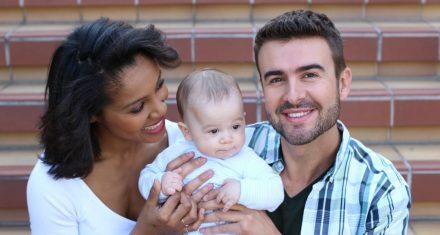 Family building both in adoption law and assisted reproduction technology including surrogacy, gestational carriers and embryo adoption is the sole area of Stanton Phillips law practice. It is better to be knowledgeable in one area of practice then to spread oneself too thin. Let Stanton Phillips and Adoption Legal Services assist you in making your adoption experience easier and successful.